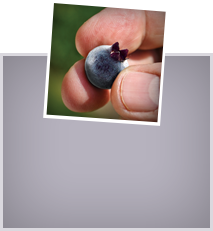 The small, hardy lowbush Wild Blueberry thrives in the thin glacial soils and harsh northern climate of Maine, Eastern Canada and Quebec – the very same environment where these tiny potent berries have grown naturally for 10,000 years. Unlike regular blueberries, these Wild Blueberries are not planted. They only grow wild, where mother nature put them. 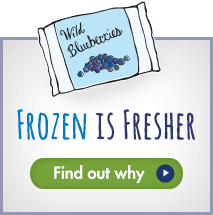 The harsh climate – and what it takes to survive in it – gives Wild Blueberries the high level of antioxidants and potent blueberry taste that regular blueberries can’t match.